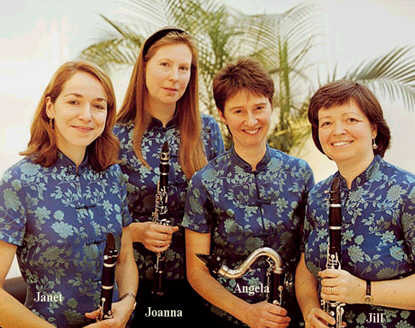 Arundo Clarinet Quartet. Music for your concert, reception or business dinner. The Arundo Clarinet Quartet are a professional clarinet quartet available for concerts or to enhance your wedding reception, business dinner or function with live music. We often perform as Musical Serenades on less formal occasions.